IIn 1970, the federal president sponsored the founding of the Europäische Skulpturenpark Willebadessen (Klosteranlage Willebadessen - Klosterhof 2 - 34439 Willebadessen) on the occasion of the first European Parliamentary elections. From that original park, two large remaining sculptures can still be found outside of the monastery area: Hans Huschka’s Zweiklang / Two-Tone, made of stainless steel, and the concrete sculpture Farbspiel / Play of Colors by Herbert Aulich. In place of the original moats and double perimeter walls, a seven-hectare park surrounds the historic monastery in Willebadessen. Of the several smaller monastery gardens that were located between the two walls, only the original outline of the abbess garden remains. During the 19th century, a small park was created directly outside the palace. Beyond the monastery walls, the park opens up into wide meadows and groups of trees that reach all the way to the slopes of the Eggegebirge. On a walk through the park today, visitors and guests will find modern sculptures from the 1979 exhibition, particularly in the area of the former monastery. Exhibitions and cultural events take place here as well. 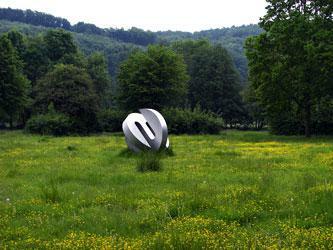 Prior to EXPO 2000, international artists met in Holzhausen near Nieheim for a symposium led by Pater Murray, director of the Yorkshire Sculpture Park (YSP), to discuss the possibility of an art project to be located in the countryside. That meeting resulted in the Nieheimer Kunstpfad. This art trail currently comprises nine stations, but is always changing: some of the works are temporary, older sculptures must be refurbished, and there are new additions. All of the works were carefully designed in dialogue with the surrounding nature, with some situated away from the hiking trail, so that they are sought out and discovered. The Kunstpfad starts at the Kolpingbildungsstätte Weberhaus and the hike takes about half an hour. The association Freundeskreis KulturGut Holzhausen maintains the Kunstpfad, which currently includes the following works: Step Two (1999) - Attacke am Turm / Attack at the Tower (2000) - Windwiege / Wind Cradle (2000) - Baumring / Tree ring (2000) - There is music in the air (2003) - Baumharfe / Tree Harp (2004) - Water Diary (2004) - Tree house (2006) - Parkettinsel / Parquet Island (2007). The old cemetery on Bahnhofstrasse in Halle was consecrated in 1828, but serves a different purpose today as a public sculpture park. 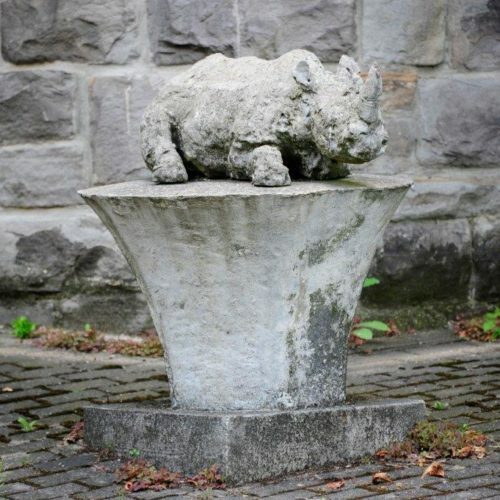 In addition to the historical trail, which uses gravestones to tell the story of the city and its residents, the former cemetery features more than 10 contemporary artworks so far. The first sculpture was installed in 2004 and the park has been growing with a new work each year ever since. The sculptures are commissioned to accompany the Halle Bach-Tage, a concert series that focuses on a new theme each year. This theme not only affects the concert program, but is also vividly implemented by visual artists. When the Bach-Tage are over, the artworks are put into a new context within the cemetery. Most of the works shown here are by artists from the region. This was a conscious decision, as the promotion of artists is a high priority in the cultural work of the city. So far, contributors include: Johannes Schepp, Christoph Kasper, Ulf Strippelmann, Karin Franitza-Oberschelp, Joachim Jurgelucks, Gabi Wieging, Jutta Kirchhoff, Angela Grosse, Cristina Zanotti, Rainer Ern, and Joachim Bandau from Aachen. This exhibition can be seen in a new light depending on the season and weather. 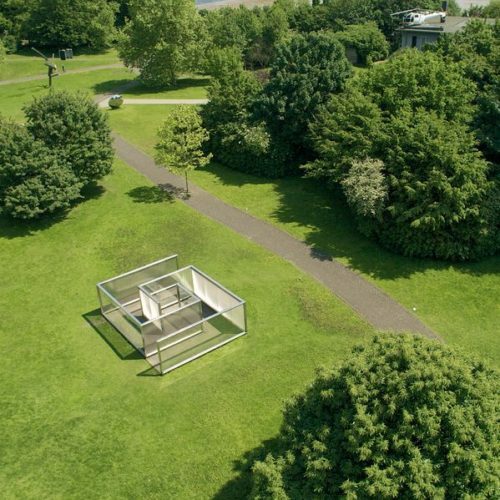 The Heimat- und Verkehrsverein Kettwig presents art from the 20th and 21st century in the Skulpturenpark Kettwig, located in the historic city center and along the banks of the Ruhr. It was founded in 1985 on the initiative of artist Marianne Kühn. Since then, it has continued to grow with the support of many sponsors and lending institutions. It enables the citizens of Kettwig and visitors from the area to engage with art in the city and the landscape of the Ruhr Valley. The aim of the STAFF Landschaftspark was to create a tastefully lavish park landscape. Its realization entails the restoration of a small-scale cultural landscape with historic forms of land usage. 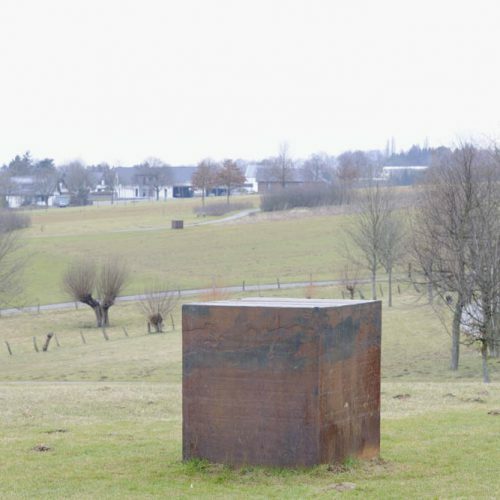 In this context, contemporary art can be found in the form of a large stone by Dorsten Diekmann (1996/97) and Lemgo Vectors by Richard Serra (1997/98). 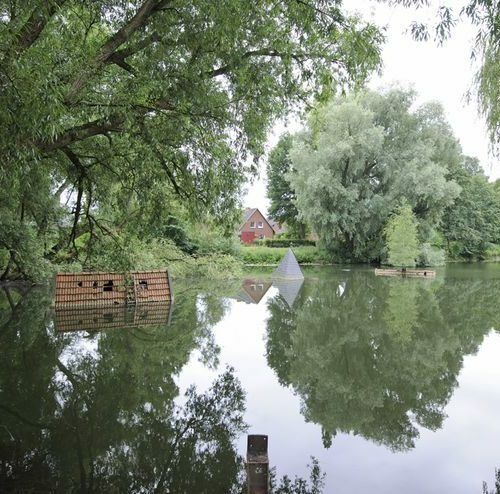 Taking place every other year from 1999 to 2005, the Skulptur Biennale Münsterland was a collaborative project between cultural institutions in the Münsterland districts of Borken, Coesfeld, Steinfurt, and Warendorf. Each of the biennales respectively addressed themes of landscape, architecture, and history through contemporary art. 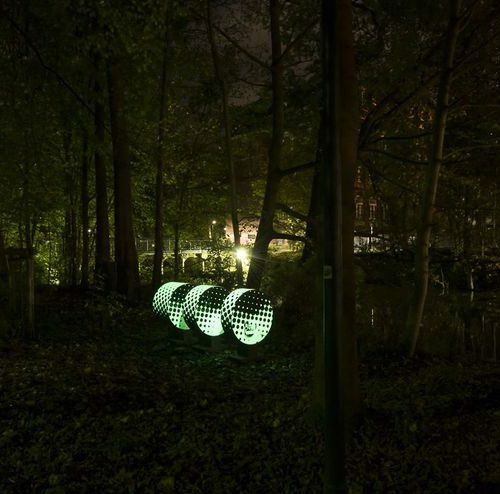 In contrast to the Skulptur Projekte Münster, these events focused on the countryside instead of urban spaces. Two coinciding events served as the occasion for this art project on the banks of the Seseke and its tributaries in the northeastern Ruhr area: the conversion of the Seseke from an open sewer into a renatured river and the Ruhr.2010 campaign to gain recognition for the region as a European Cultural Capital. In summer 2010, the art project ÜBER WASSER GEHEN was realized by the Lippeverband in cooperation with the neighboring cities of Lünen, Bergkamen, Kamen, Bönen, Dortmund, Unna, and the Unna district. 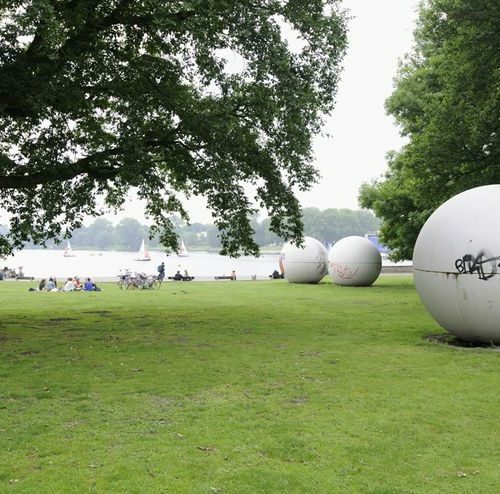 Skulpturenpark Köln was privately founded and features changing exhibitions of outdoor sculptures by German and international artists in Cologne. Since 1997, it has been situated on 4 hectares of land in front of the Cologne Zoo in a tree-lined green space. The park is open daily and free of charge. 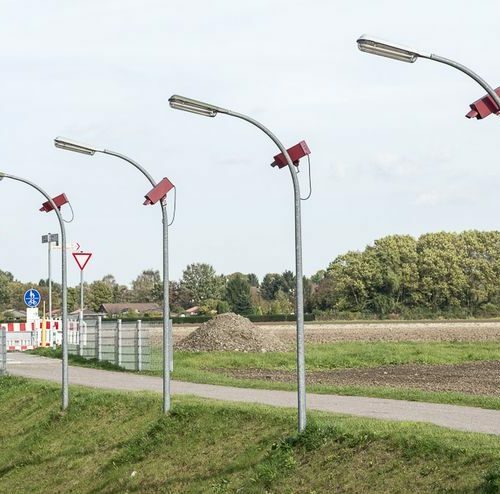 The Skulptur Projekte have taken place in Münster every 10 years since 1977, and are now among the world's most renowned presentations of art in a public space. This successful exhibition format was created by the then curator and later director of the LWL-Museum Klaus Bußmann and the subsequent and current curator Kaspar König. They created the Skulptur Projekte as a response to controversy that had arisen over a kinetic public artwork. The intention was to sensitize a broad audience to sculpture in public spaces. 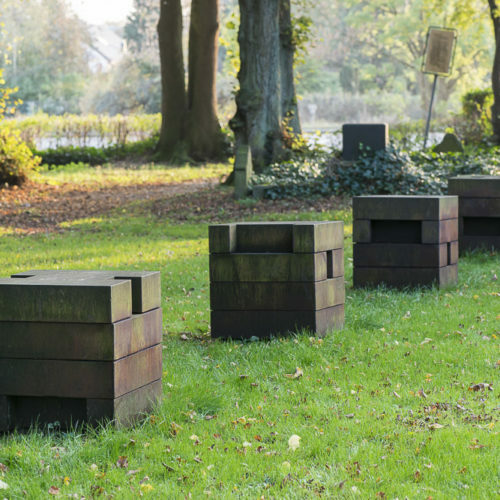 Although the participating artists are always asked to develop temporary interventions, certain works from the Skulptur Projekte have remained in Münster on a permanent basis since its inception in 1977. They now shape the city landscape and illustrate the interesting ways that the artworks have evolved over time. 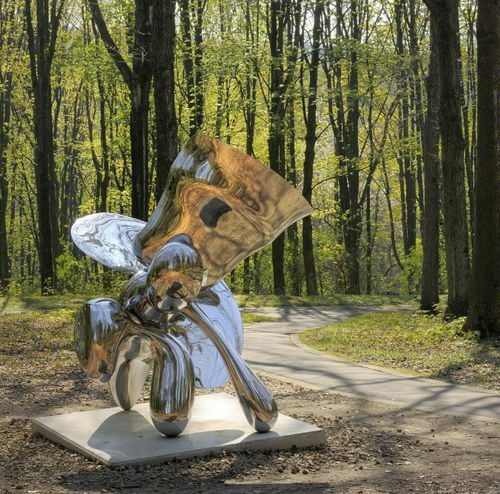 Skulpturenpark Waldfrieden was founded and established on the initiative of British sculptor and Wuppertal resident Tony Cragg. 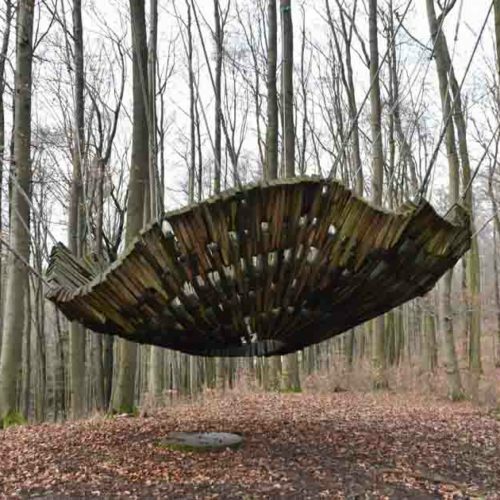 In search of a permanent outdoor sculpture exhibition space, he discovered the abandoned Waldfrieden property in 2006. The careful transformation of the park grounds and buildings began in the same year and the sculpture park was opened in 2008 with the support of a nonprofit foundation. It contains a steadily growing collection of sculptures, including selections from Tony Cragg's own extensive works. Works by internationally renowned artists are also shown in temporary exhibitions. 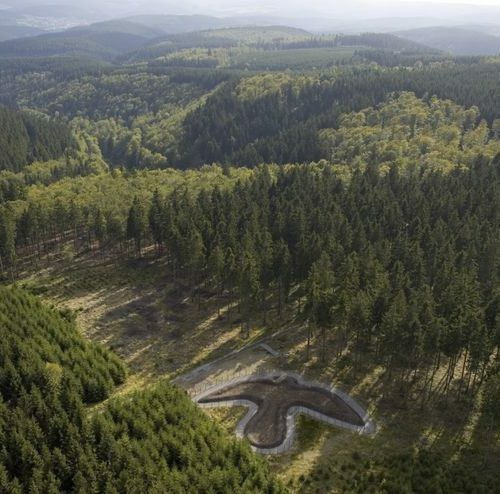 This art-hiking trail connects Bad Berleburg in Siegen-Wittgenstein and Schmallenberg in Hochsauerland. It can be reached via the Rothaarsteig access routes. At roughly 23 kilometers long, the Waldskulpturenweg / Forest Sculpture Path surmounts the Rothaar Ridge, where it intersects with the Rothaarsteig in Kühhude. Between 2000 and 2010, internationally renowned artists created 11 artworks along this route. This modular, expandable project has existed since 2002 and spans the network of cities in the Hellweg region, including Ahlen, Bergkamen, Bönen, Fröndenberg, Hamm, Lippstadt, Lünen, Schwerte, Soest, and Unna. It brings together individual light art projects, shaping their identity as a whole. New works of light art by nationally and internationally renowned artists are incorporated each year.